The Canada goose (Branta canadensis) can be identified by the black head and neck, white check patch, and gray-brown back. Males and females look similar. Photo courtesy of Laura Kammin, University of Illinois Extension. There are seven subspecies of Canada geese. 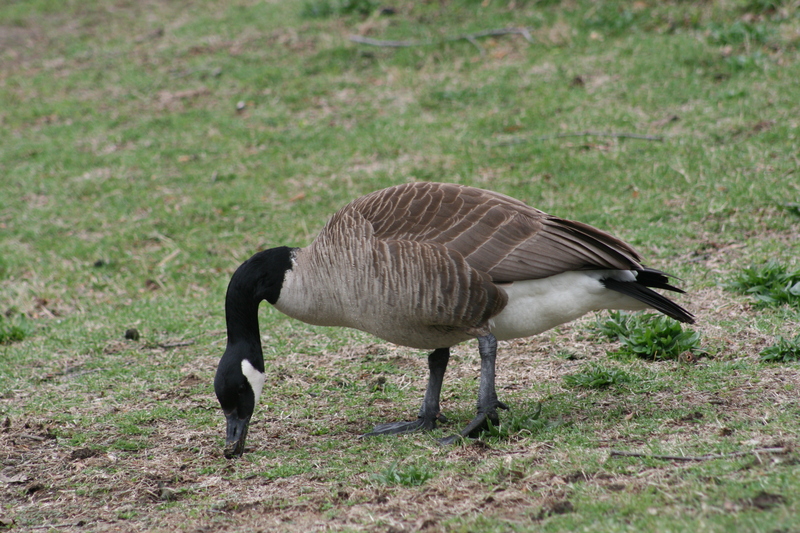 The giant Canada goose (maxima) subspecies is the most common in Illinois, and is a year round resident. Canada geese fly in a V-shape formation because flying this way reduces wind resistance and helps the geese to conserve energy. Canada geese mate for life but will re-mate if one of the pair dies. Canada geese are the most widespread goose in North America. While there are several subspecies of Canada geese in North America, only the giant Canada goose (Branta canadensis maxima), the largest subspecies, is known to breed in Illinois. The 2007 spring population estimate of giant Canada geese in Illinois is approximately 105,000. Additionally, geese from other subspecies and breeding populations from as far north as Hudson Bay, Canada pass through during migration or spend the winter in our state. The presence of these Canada geese can add greatly to the numbers of geese in Illinois during these time periods. Contrary to popular belief, while giant Canada geese make shorter and less frequent migrations than other subspecies, they do migrate as the severity of winter weather dictates. Canada geese can go about 30 days without feeding if snow prevents access to food. Canada geese are monogamous and mate for life. They do not breed until their third year. The female builds the nest and incubates a clutch of four to ten (usually five to seven) eggs. Incubation lasts 25 to 30 days. 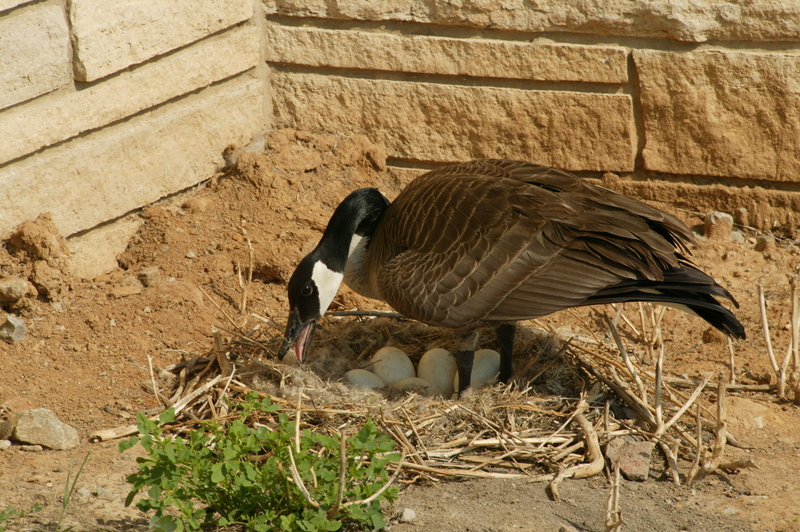 Canada geese raise one brood per year, re-nesting only if their first attempt is unsuccessful. Goslings are precoccial. This means that they are born with downy feathers, their eyes are open, and they are capable of moving and leaving the nest within 24 hours of hatching. The male will aggressively defend the nest and goslings. Young geese stay with the parents after hatching and follow them to the wintering grounds in the fall. Canada geese are herbivores. They are grazers and eat a diet of grasses, roots, tubers, seeds, grains, and nuts, and aquatic plants such as algae. They supplement their diet with aquatic invertebrates. Canada geese are diurnal, meaning that they are active during the day. They spend much of their day grazing and foraging for food either on land or in the water. Canada geese are highly social birds. While nesting, a pair will be somewhat solitary though several pairs may use the same area for breeding and raising young. During the breeding season, males may be aggressive towards humans and other animals if they come too close to the nest site or try to approach the goslings. In the fall, large flocks of multiple Canada goose families gather together for the southward migration to the wintering grounds. Canada geese can live more than 20 years. Based on bird banding records, the oldest known wild Canada goose in Illinois was almost 30 years old when it died. 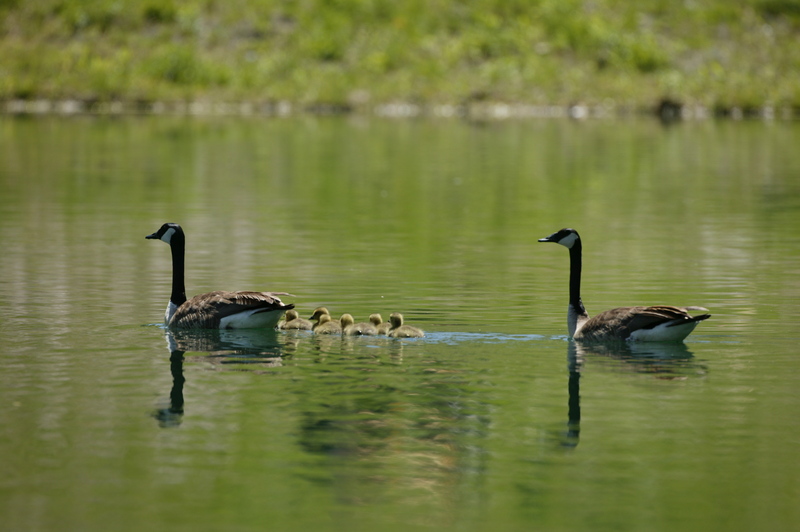 However, many Canada geese will not survive their first year, falling prey to predators such as gulls, American crows, raccoons, or skunks during the incubation stage or to coyotes, snapping turtles, or mink as goslings. Others do not successfully complete their first migration. Healthy adult Canada geese have few predators besides coyotes. Hunters harvest some of the Canada goose population each year, which helps control goose populations. In rural areas, large flocks of geese can damage agriculture crops. In urban areas, Canada geese can cause traffic jams, reduce water quality, contaminate lawns or golf courses with droppings and damage turf by grazing, or pose a safety threat when they fly near airports. When it comes to dealing with geese, preventing them from using an area is much easier than discouraging them from using a site once they are established. Once geese have found suitable habitat, it is very difficult to discourage them from using the site. 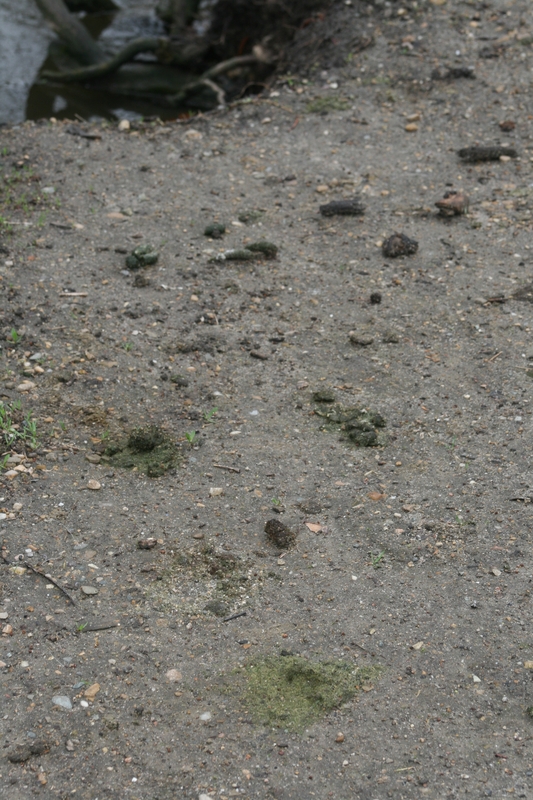 If geese have already established themselves on your property, the best way to control them is to use a combination of management techniques. Geese use ponds with gently sloped banks that are surrounded by short grass and minimal tall vegetation that could impede their flight or obstruct their view of potential predators. Modifying the landscaping can help to discourage geese from using a pond. Three-foot high poultry wire fences will help keep birds out of gardens or yards, especially during summer. Good results have also been reported using 20 pound or heavier monofilament fishing line to make a 3-strand fence. The first line should be six inches above ground, the second line is fixed at 12 inches high, and the third at 18 inches above ground. Aluminum foil or plastic flagging helps increase visibility of this type of fence. The monofilament fence is most effective if it is in place before geese start to use the area for nesting in early March. Some lake associations have also had success with two feet tall wire mesh fences installed directly at the water's edge. The wire fence must remain tight, otherwise the geese will walk right over it into the water. 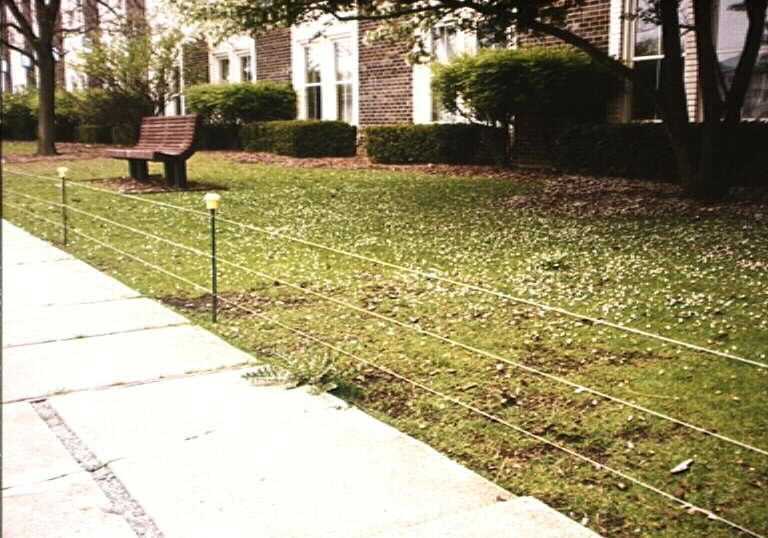 If aesthetics are a concern, using green wire will help the fence blend into the landscape. 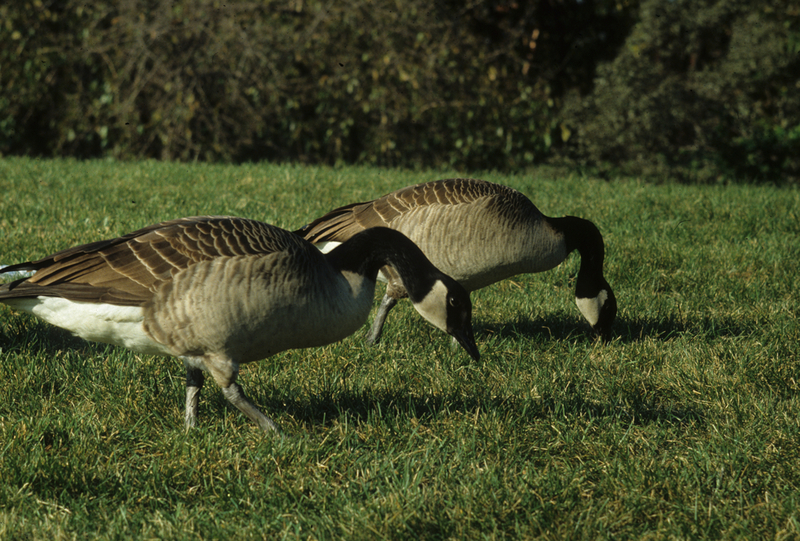 ReJeXiT and Bird Shield are two approved taste repellents available for use on turf areas where geese feed. Both are made from a non-toxic ingredient called methyl anthranilate. These repellents are most effective if used where geese browsing cannot be tolerated, leaving other areas of turf untreated. This technique can be used to train the geese to stay out of certain portions of the property. These products may be effective in keeping geese from damaging plants, but will not discourage them from swimming or resting at a site. Both of these products are bio-degradable and will have to be reapplied after heavy precipitation events and as the plants grow. If large areas are to be protected, cost can quickly become a factor. The use of trained dogs to harass geese has proven to be an effective way to keep geese from using a site. Canada geese, like all waterfowl, are protected by the federal Migratory Bird Treaty Act and Illinois Wildlife Code. It is illegal to kill or remove geese or destroy nests or eggs without a permit from the Illinois Department of Natural Resources. In certain situations and settings a permit may be issued to destroy eggs. If you need assistance with an urban Canada goose issue, contact the Illinois Department of Natural Resources Urban Waterfowl Project Manager, Roy Domazlicky, at (847) 608-3100 x32031. Canada geese are federally protected by the Migratory Bird Treaty Act. They are also protected by the Illinois Wildlife Code. 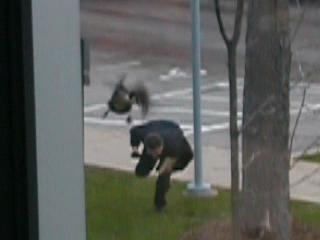 In urban areas, Canada geese may not be removed. For more information about a conflict with Canada geese, contact the Illinois Department of Natural Resources Urban Waterfowl Project Manager, Roy Domazlicky, at (847) 608-3100 x32031. In rural areas, hunting can help control populations of Canada geese. An Illinois hunting license, Illinois waterfowl stamp, Federal waterfowl stamp, and registration with the Harvest Information Program are required. For more information about licenses and current waterfowl hunting regulations, go to: Applications and Information or Waterfowl & Hunting Information.